When Should You Get Your Tires Aligned? An incorrect or faulty alignment could cause a whole host of problems. If you happen to notice that your car drifts to the left or right while you’re driving, this means that your tires may be incorrectly aligned and one tire or the other may be off axis. If this goes on, you could find yourself in precarious situations. In addition to an uneven driving experience, irregular wear can cause major issues with your vehicle’s functionality. Your tires are supposed to wear; it’s a natural effect of rubber acting on the road and other surfaces. However, a misaligned tire wears at a different rate than the other tires on your vehicle which could cause the aforementioned drifting as well as one tire bursting and causing a major accident. Your wheels are the most essential aspect of your car. You can’t move from point A to point B without them. Keeping your wheels aligned means keeping your wheels straight which ensures normal wear and correct tire angle. An alignment isn’t modifying the tires as much as it is making sure they are all set at the correct angle. An unaligned or misaligned set of tires could wear faster and cause an accident. 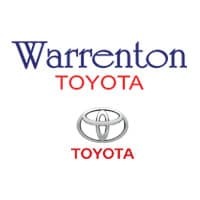 If your tires are showing uneven wear, or you notice your vehicle drifting to the left or right while you’re driving, visit us at Warrenton Toyota today. Let our experts make sure your tires are aligned correctly so you can drive safe. Schedule your wheel alignment in Warrenton, VA online now!